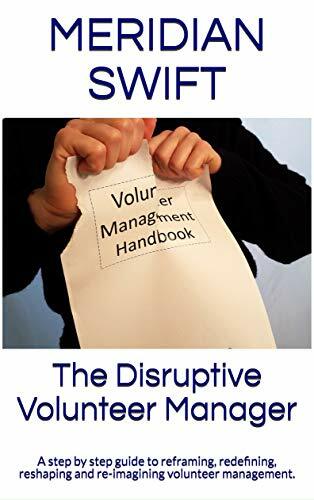 Are volunteer managers world travelers? Do we venture into exotic lands where the inhabitants speak a foreign language and do not understand the words we speak? If you’ve ever stood up in a staff meeting to give a presentation on volunteering and the attendees glazed over while checking their devices, you know what I mean. They don’t understand the odd, volunteer language coming out of our mouths. “Our selfless volunteers who are caring and compassionate.” HUH? So what? I’m caring and compassionate too, but that doesn’t get the mountains of work done. “Our volunteers gave 6,000 hours last month making our clients lives better.” WHAT? Who gave $6,000 and why wasn’t I informed? I’m in charge of donations here! The nerve! “Volunteers give from their heart.” Yeah, that’s nice but I give from my heart too and I give my blood, sweat and tears besides. Who has time for this fluff? Broad statements and dry statistics are the twins of tune-out. So, do stats and heart-warming stories have any place at all? Yes, of course they do, but what is the impact of these stats and stories, other than the feel-goodery of volunteerspeak? As you step onto the stage for your moment to talk about volunteer services, think about your elevator pitch. Does my audience speak volunteer? How do I get their attention? And, most importantly, can I speak to them in their own language so that they understand? In volunteerspeak, we focus on our volunteer’s selflessness as in, “One of our volunteers, Dave, gave up tickets to a sold out play to spend two extra hours with an upset client. Now that’s above and beyond. ” Nice, but well, this has no bearing on me. Instead, if we retell this story in a language our target audience speaks, and we focus on impact it becomes, “volunteer Dave stayed two extra hours, allowing our social worker, Alexis, to fully focus on her caregiver assessment while he engaged the upset client. This cut Alexis’ time in that home by half which gave her two more hours to get her work done.” What? Extra time? I’m listening. Forcing our audiences to understand ‘volunteerspeak‘ is a burden on them. Instead, if we want our voices heard, we need to learn to speak their language. What questions can help us find the common tongue? What, at this moment is the most pressing challenge facing our organization? Time? Marketing? Money? Lack of market share? Competition? Complaints? Auditing? How can we craft our stories and stats into the ways volunteers help in addressing these specific challenges? For example, instead of talking in general terms of how volunteers support the mission, gather concrete examples of volunteers who donate money, in-kind goods and influence their neighbors to give. What departments are stretched, overworked and leaned on? In what measurable concrete terms do volunteers alleviate the load on these departments? For example, instead of pointing to volunteer hours given, flip it and speak to the amount of hours saved by staff. What are some of the current organizational goals? Expansion? Partnerships? Social Media presence? National recognition? How are new volunteer programs leading the way in achieving these goals? For example, instead of pointing to a new program that will bring in more volunteers, show how the innovative program will more quickly lead to a specific goal. What methods speak to my organization? Gathering stats? Big picture thinking? Connecting dots? Awards? How can I rework my presentations using these methods to show volunteer impact? For example, instead of equating volunteer hours to dollars saved, speak to examples of volunteers as extensions of departments and the work produced. Impact stats vs. hour stats. We can continue to praise volunteer goodness until we are hoarse. But if we don’t speak in the terms and language understood by our organizations, CEO’s, department heads and staff, it will fall on deaf ears. We can’t expect others to translate volunteerspeak. We must adapt the common tongue in order to show true, measurable volunteer impact. You know, because of volunteer involvement, we frequently travel to all corners of our organizations. It really helps to speak the language. Thank you Kelly, I truly appreciate it. Looking forward to more great tips from you! Switching from enthusiastic praise to WIFM’s is like learning a new language…working on it–because it works! That’s awesome Colette, especially when you can see the results. It’s a challenge to feel passionate about volunteer stories and then try to shape those stories into more results driven language, but if it gets us to our goals, then it’s worth it. Thanks for sharing! Wonderful Meridian – so simple to make the connections when we adapt language to meet the target audience. 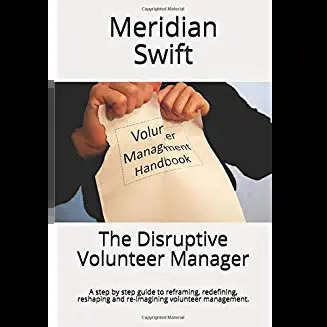 Though we are not terribly good at it when you see the plaudits dished out by organisation executives (on IV Day, for example) about ‘how wonderful our volunteers are’, and ‘how we cannot manage with out them’. Maybe we could offer to write their press releases for them. Haha, thank you Sue for repeating the worn out “we cannot manage with out them” phrase so often thrown out mindlessly. If we can change the perception from “oh that extra layer of goodness” to one of “hey, there’s some serious impact being accomplished by volunteers,” well, then we have moved forward.